Hilton works towards bringing home grown produce back to the tablepromoting healthy lifestyles through their Seasonal Produce; grains.#EatDrinkHilton#HiltonColombo #EatDrinkHilton #SeasonalProduce #Grains. Through ethical sourcing, Hilton is able to acquire organic certified grains directly from the farmers there by assisting 300 rural smallholder farmers supported by the Smallholder Agribusiness Partnerships Programme (SAPP) to find direct marketing opportunities through direct purchase. “We are happy and committed to support the SAPP of the Presidential Secretariat financed by the International Fund for Agricultural Development (IFAD) in this meaningful venture” says Hilton Colombo, General Manager, Manesh Fernando. This month’s seasonal produce being “grains’ referred to in ancient times as “food of the kings”, Hilton Colombo is dishing out some unique dishes and drinks using the various types of rice namely Suwadel, Madathawalu, Maavi and more, together with other types of grains. 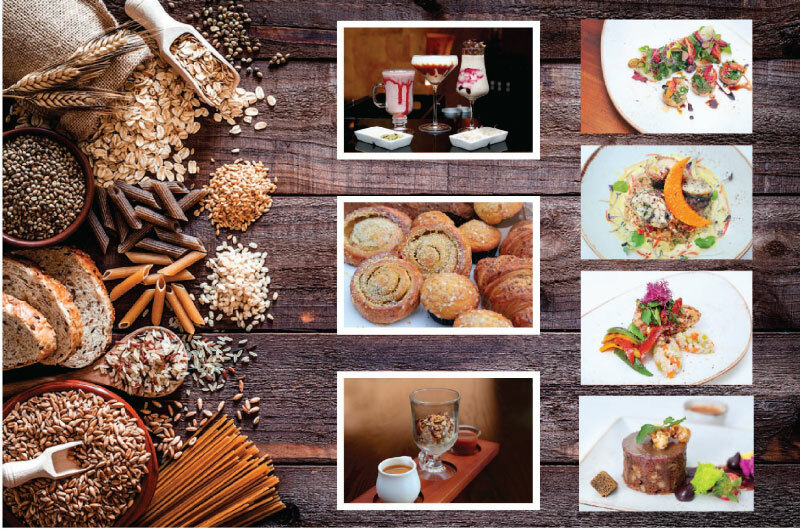 “You could order your delicious wholesome meals from the carefully curated ‘Grains Menu’ available at Graze Kitchen, Café Kai and LAB”, says Gigi De Silva, marketing communications manager, Hilton Colombo. Lemongrass chicken and Suwadel rice salad on roasted trio of peppers, avocado and artichokes, Spicy sea food and coconut soup with Madathawalu rice, crispy skinned modha and kuruluthuda kedgeree papilotte with oriental curry cream, chicken breast stuffed with nut prunes on citrus barley risotto fennel confit and red wine glaze, Batapola red rice bread pudding with cinnamon crumble, chia ice cream, caramelized nut and caramel sauce, a delicious range of breads, granola affogato with salted caramel are few of the interesting items on the menu.